With my Vauxhall Insignia having covered almost 3000 miles since it was last cleaned I felt that it was high time I put some of our own Scholl Concepts car cleaning and care products to the test. 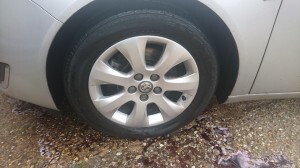 I noted (with some considerable embarrassment) that it was my alloy wheels that really needed some TLC. They looked terrible because they had a heavy coating of baked-on brake dust on them. In fact, they were closer to black rather than the shiny silver they should be. For someone who earns a living from car care this just wouldn’t do. 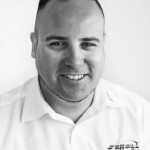 My excuse is that I spend so much time travelling across the country singing the praises of Scholl Concepts that I just hadn’t been able to find the time to give them the treatment they deserved. 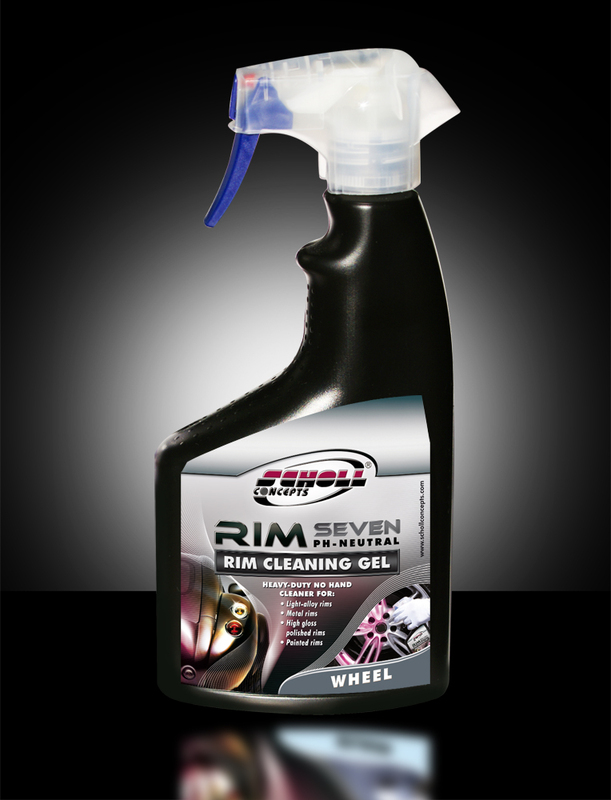 But every cloud has a silver lining and in this case the silver lining is Scholl Concepts Rim 7 Wheel Cleaner. My ‘shameful’ alloys were a perfect test for Rim 7’s quick and effective abilities. 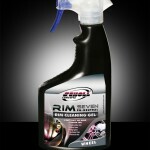 So I rolled up my sleeves, pulled a bottle of Rim 7 from my box of tricks and sprayed Rim 7 directly onto the wheel. Rim 7 is designed to effortlessly clean very dirty wheels so this really was the perfect test. As per the instructions on the bottle, I allowed it to dwell for around 2 and half minutes. I didn’t use any agitation after application. I simply sprayed on the product and after a brief pause to let the cleaning agent work away at the dust, I rinsed it off using a pressure washer. 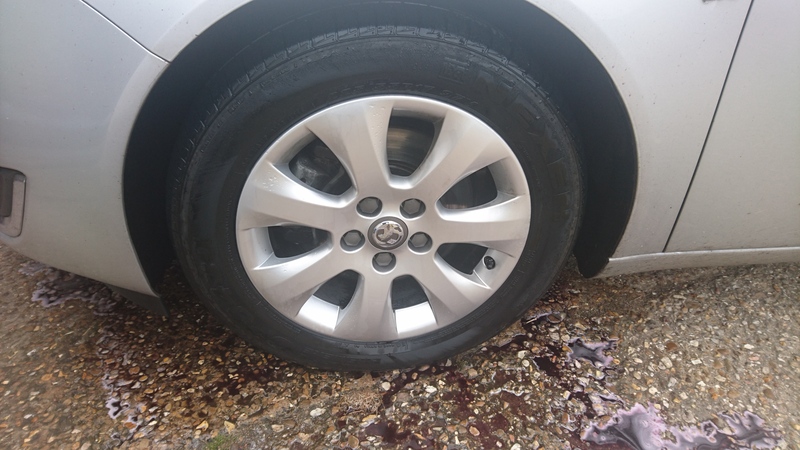 I was pleased to see that most of the brake dust and road grime had been removed with only a small area around the valve cap requiring some slight agitation and a final rinse to remove all residue. Now I have fresh silver alloys once again and I’ve vowed not to let them get so bad again. 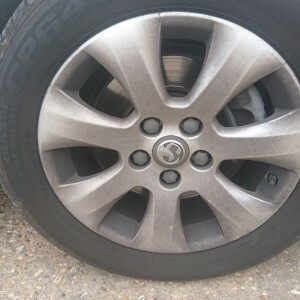 In fact, if you see me with dirty wheels in another 3000 miles you have my permission to demand I give you my bottle of Rim 7! In the meantime, here’s a brief video I took with my phone that shows just how easily the dirt is removed after Rim 7 has worked its magic.